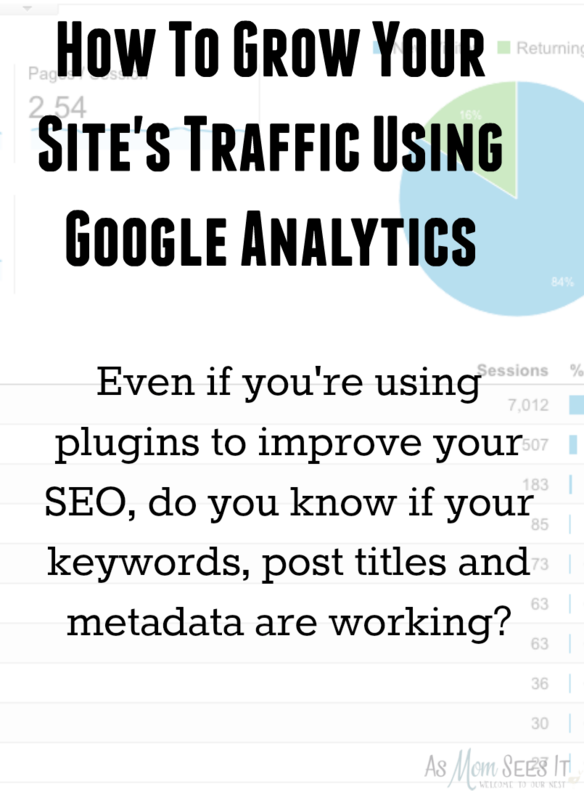 How To Grow Your Site's Traffic: Is Your SEO Working? I’ve been blogging since 2010 but like many bloggers, I’m still finding my way around Google Analytics. It’s a highly valuable tool, completely free, and is sometimes our GA stats are required to snag a sponsored post, PR campaign or ambassadorship. It’s also a great way to improve your traffic and track your most popular posts so that you can develop more popular or viral content. With WordPress plugins like Yoast, I’ve learned to work keywords and titles to my favor to make the little yellow dot turn green. I’ve assumed up until now that it meant my post was optimized for SEO to the fullest and the clicks would start pouring in. But I never checked – or, rather, never thought I could check – to see if the keywords I chose were actually working for my site. UPDATE: Here is a screenshot of this blogger’s traffic 3 months after following these steps. A huge improvement! However, we have noticed that the time spent on each page has decreased. This means that either her descriptions are misleading or she needs longer posts and links to her own related posts. This is the screen you’ll usually see when you log into Google Analytics. 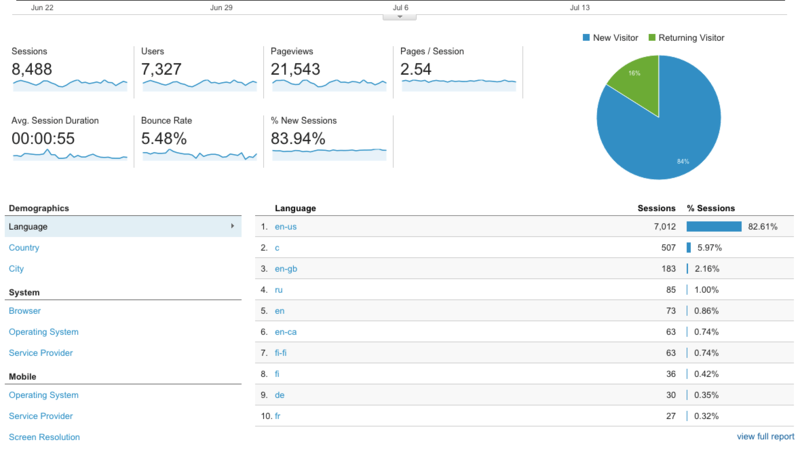 This is not from my site, but rather a site of a friend of mine who’s working on her SEO using Google Analytics. I can’t wait to see the results because I’ve already seen huge increases in mine! 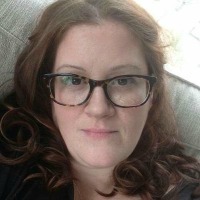 Using her screenshots for this post, I’ll take you step by step to see if your SEO keywords are working for your site. That’s fine; just click “Set up Webmaster Tools data sharing” at the top and follow the steps. Minutes after you’ve completed the steps, you should see your stats start to track. The Google Analytics Queries page will list your top keywords in order of number of impressions on the left. These are the search terms that have been used as search keywords that brought readers to your site. Along with these search keywords, you’ll see other statistics, which we’ve broken down for you below. Impressions: Impressions are the number of views your post received on a search engine results page. As an example, if someone Google searched “butterfly plants” and you’ve written a post on your site called “Plants That Attract Butterflies To Your Garden”, then your post will likely show up on the search engine page when they search that term. This is NOT the number of people who clicked over to read your post. It’s just the number of times the post on your blog appeared on a search engine results page. Clicks: This refers to the number of times someone actually clicked your post from the search engine results page. Average Position: This refers to the exact ranking that your post has on a Google search for a particular keyword. It’s key that your Average Position number to be as close to “1” as possible, especially for keywords, so that your blog is the first in the list of searches for that keyword, which will likely mean more click throughs to your site. If your Average Position isn’t “1.”, don’t freak out! A post your publish today will, on average, need several months before it gets a strong ranking on search engines. And, if your numbers aren’t “1”, following these steps will start to help with that. CTR: This mean Click-Through Rate. This is the rate in which those who have searched a specific keyword will decide to click over to read your post. If you’re doing exceptionally well, then your CTR is likely around 50%. That number will depend on a few things, include the popularity of certain keywords you’ve used and your Average Position. Even a CTR of 15%-20% is quite ambitious. Sadly, the CTR for this blog is 0%; this means that she has the right keywords, but something isn’t working for her. But we know how to fix this! The Google Analytics Landing Pages Data page will show you a list of the most popular posts on your site. To find this information, just click Acquisition → Search Engine Optimization → Landing Pages. Usually, your most popular posts are in direct correlation to your most popular keywords. Since these are your most popular posts, this page can help you create related content for your site that your readers will love, such as crafts or baking, and will also indicate which keywords are working for you because they’re producing actual click-throughs from Google searches. Remember when we discussed your CTR rate from your Queries page? Again, it’s uncommon to have a CTR around 50% or higher, your aim should be around 15%-20%, but if it’s lower, it’s attributed to one or both of these issues: Either your post title is not catchy enough for readers to want to click through, or your meta description (which is the one or two sentences that appear just below your post in a Google search) aren’t catchy enough for readers to want to click through. Guess what… you can fix both of these issue just by editing them! Change your post titles (not your URL) and your meta description to something descriptive, fun, eye catching and that uses your keyword. Posts that are “How to” or have a number in them like “10 ways you can” do really well. Add your keyword throughout the post more often, but make sure that the keyword(s) fit seamlessly into the text of your post and makes sense. Update your blog title, your meta description, and URL – if possible – to include your keyword. If you change your URL at all, you’ll have to create a redirect. Write more posts about the keywords and query topics that are most often searched and garner traffic to your site. However, if these search keywords don’t make sense with the overall reach or theme of your blog, don’t do it for the sake of traffic. This is often how bloggers lose their voice and brands notice this immediately. When other sites link to your site, it boosts your SEO. Share your post everywhere on social media, in threads, and in other Facebook groups. Make sure you’re returning the favor by boosting others’ posts, as well, especially when it comes to StumbleUpon. your results here, so please share below! Martha Stewart doesn’t think that bloggers are experts. So what?